Great place to stay with amazing views from the harbour and opera rooms. 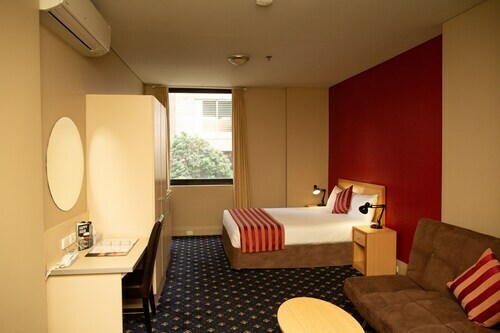 Our room was renovated in a very stylish manner/ spacious and extremely comfortable. 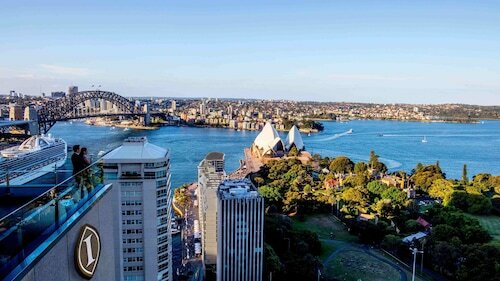 Superb location, right next to Town Hall train stop, 10 min walk from Darling Harbour and 15 min walk from Sydney Opera House and circular Quay. 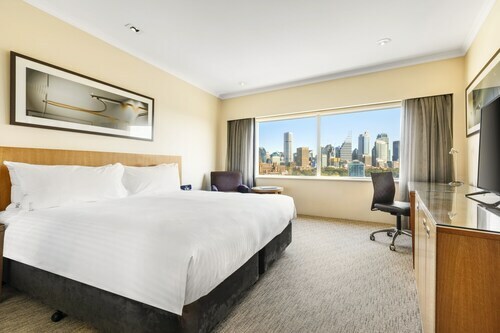 Hotel, Ideally located, Short walk to train station, a 40-50 minute walk, through pretty botanical gardens right the way around to Sydney Opera House and Bridge ! 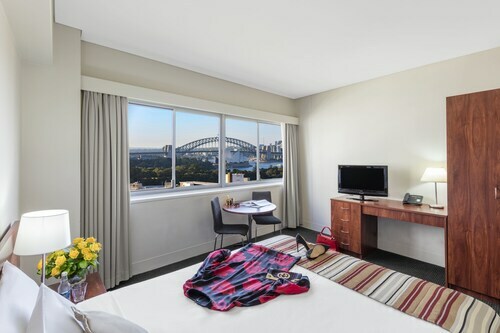 the reception staff were kind enough to get us a better, higher room with a beautiful view of the sydney opera house and the bridge. We upgraded to a room with a view of Sydney Opera house, which in our view is worth doing. 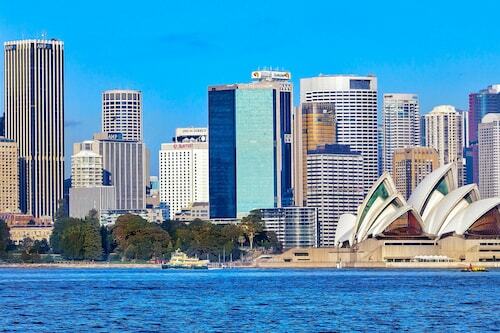 It takes about 30 minutes if you wanted to walk to Circular Quays where the Sydney Opera House is and the ferries which take you to Manly Beach, Watson Bay or Rose Bay. Close to harbour/ferries, the Rocks (nightlife and pubs) make sure you go to the Hero of Waterloo pub on Sunday night cracking band, Sydney Opera House (avoid the tour it was rubbish), the bridge and the Botanic Gardens (beautiful if you are a gardener).